NVIDIA has released a new Game Ready driver that is available to download for RTX and GeForce GPUs. The new driver brings optimisations for Battlefield V, Fallout 76 and Hitman 2. 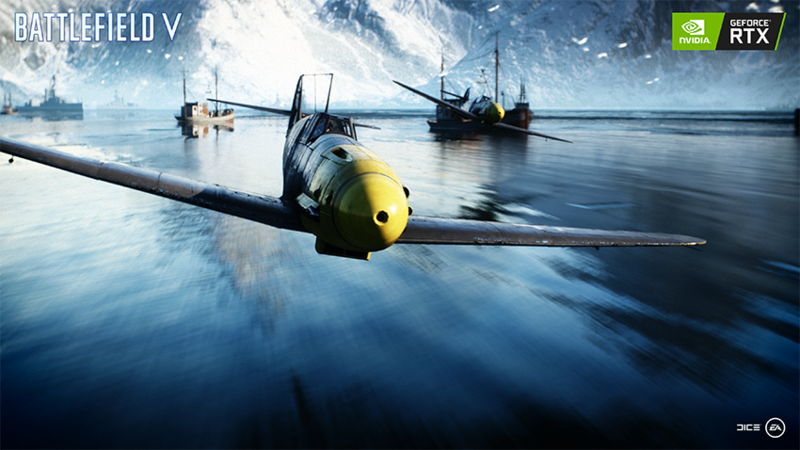 The Game Ready driver also adds support for real-time ray tracing in Battlefield V for GeForce RTX GPUs. NVIDIA has released a new Game Ready driver that brings optimisations for Battlefield V, in anticipation of its release on November 20, or on November 15 for those who bought the Deluxe Edition. The new driver (416.94 WHQL) also enables real-time tracing (DXR) in Battlefield V for GeForce RTX GPUs, which is the first game to support the technology. However, NVIDIA stresses that Origin must release a patch that enables DXR, which is due to be released today. The new Game Ready driver also brings optimisations for Fallout 76 and Hitman 2, the latter of which NVIDIA has added support for NVIDIA Ansel and NVIDIA Highlights. These two features combine to allow users to take in-game photos, then edit them and upload them to social media. The company adds that it has fixed the lags that may occur on the desktop for some GeForce GTX 780 GPUs, but the driver also brings fresh issues on Windows 10 for certain games and GPUs. NVIDIA warns that the game screen in Hitman 2 may turn black after launching the game on a GeForce GTX 1080 Ti with Windows HDR enabled, and in DirectX 11. Moreover, the new driver may cause DPC watchdog violations when running multiple GeForce GTX 1080 Ti GPUs on motherboards with PLX chips. Finally, the company advises that G-Sync may not switch off after exiting games on the 416.94 WHQL driver. Please see the NVIDIA release notes here for a full list of open issues and changes associated with the new Game Ready driver.